The 3 best museums in Phoenix for families | Metro Lock & Safe Inc.
What makes a museum a good choice for families? We looked at every major museum in Phoenix in order to determine which ones were the best choices for families. That doesn’t just mean choosing children-centric museums. Phoenix offers some great museums that are only geared towards children. The Children’s Museum of Phoenix is an awesome choice for young children and parents who want a break. For teenagers? Not so much. We can replace a lock in your home, but you’ll need to get out to visit these great spots. We graded museums on the following criteria to come up with our list. Is it family friendly? A family-friendly museum doesn’t contain copious adult-only content. Within the context of art, the human form has been front and center for centuries. We didn’t discount museums based on these aspects, but removed museums with explicitly adult-oriented sections. This would just as easily discount a sci-fi horror museum as it would a museum with a large section devoted to 16th-century nudes or graphic depictions of war. Do the interests of its exhibits appeal as much to children as adults?? The museums in our list truly do have something for everyone. Consider them blanket interest museums with a great degree of interactivity or notable historical context. Children are especially difficult to keep engaged, making them the most difficult aspect of this criteria. The breadth of exhibits The last consideration was given to the exhibits themselves. Even among focused museums, diversity matters. A family museum needs to cater to a wide variety of tastes. For a general museum that could mean artifacts, paintings, and photography. For a specialized museum, it can mean having every different type of an item. [highlight]Science and discovery all in one place. [/highlight] For a museum that truly has something for everyone, you can’t go wrong with the Arizona Science Center. They have year round permanent exhibits geared towards every age range. These include a wide range of interactive exhibits on solar power and digital connectivity. Recent rotating exhibits have included an in-depth tutorial on stop-motion animation where visitors can actually create their own movie! No matter what age you are, there’s something for everyone in this Phoenix museum. [highlight]You’ll find your rhythm in this interactive museum. [/highlight] If you have any interest in music at all, the Phoenix Musical Instrument Museum is a must. Located on Mayo Boulevard, this recent addition to the landscape contains instruments from over 200 countries. Its features include a wide range of legendary instruments from famous players. The best part? You can play a ton of the instruments yourself. This museum is fully interactive. That makes it an exceptional choice for families. 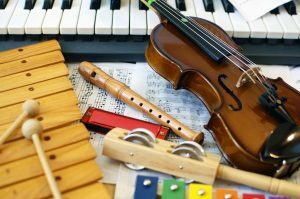 Adults interested in a tour can also enroll their children into a kid’s music program while they learn more. Don’t forget to grab breakfast, because you could spend all day at this museum. You’ll find the Pioneer Living History Museum on the aptly named Pioneer Road. With a range of skilled re-enactors in this 30 building city, you can get a real feel for what it was like to live in the 1800’s. You’ll love discovering original and reconstructed buildings that bring home what it was like to live during the time of the cowboy. Don’t forget to see the famous flying “V” cabin while you are there! Not into museums? Check out our other recommendations for things to keep busy around the city.